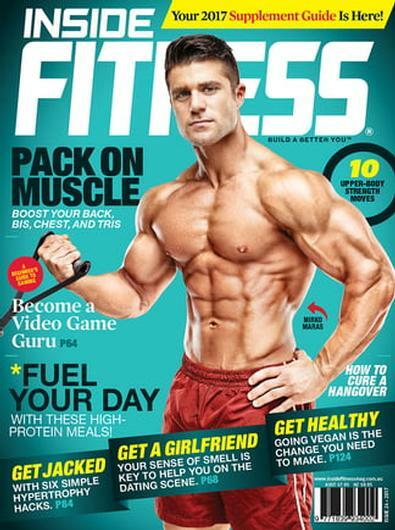 Be on the INSIDE with Inside Fitness Magazine – Australia’s Newest Health and Fitness Mag! Inside Fitness is the magazine that uniquely caters to both men and women interested in healthy living, training and nutrition. With delicious meal plans and dieting tips that will encourage you to enjoy your meals as much as your exercise, covering all the following and more: Strength and Fitness, Nutrition & Diet Information, Supporting Recipes, Exercise Features, The Latest Studies on Health, Supplement Profiles and Vital Injury Prevention Techniques. IFM is truly a collaboration of the brightest and most knowledgeable fitness experts in the industry including; Dr. Jose Antonio, Jonathan Chaimberg, Garry Bartlett, Dean Brandt, Lauren Jacobsen and many more! IFM offers our readers training tips designed to push your goals further, sports exercises that will inspire and the latest news regarding anything fitness. Subscribe to our informative and exciting Inside Fitness Magazine, your new healthy lifestyle STARTS HERE!